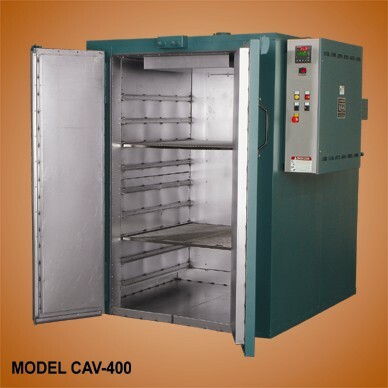 Large, low cost, shelf processing ovens for bulky or numerous parts at temperatures to 550°F. Work can be placed directly on reinforced floor or shelf loaded. Work space starts at floor level for convenient loading of large items and easy access to top shelves. 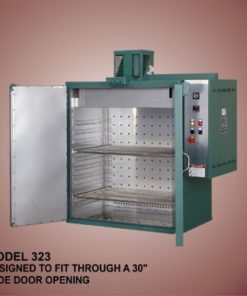 Standard Cabinet Ovens meet the requirements of National Fire Protection Association Standard 86, Industrial Risk Insurers, Factory Mutual and OSHA standards. 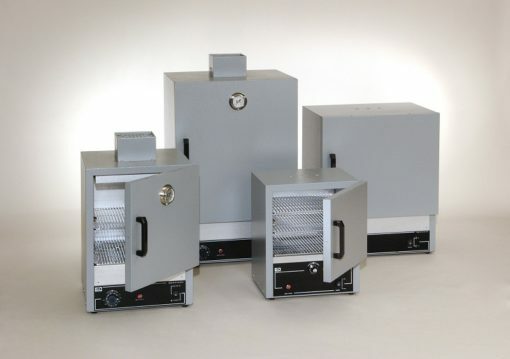 For some applications, such as those involving flammable solvents or hazardous locations, the above organizations require additional safety devices. 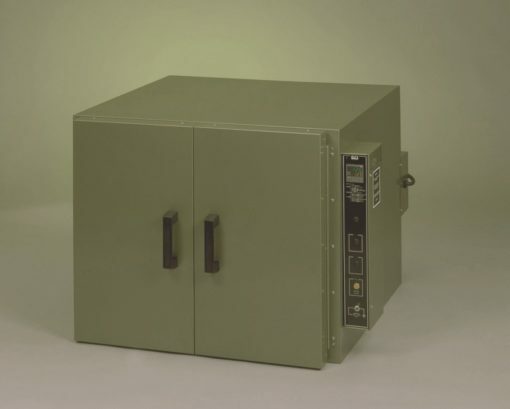 Two (2) reinforced 100 lbs uniformly distributed load capacity nickel plated wire shelves. Nine (9) pair shelf support channels on 6″ centers; first shelf 8″ above factory floor. Fully insulated 2″ thick floor reinforced for 500 lbs distributed loading. 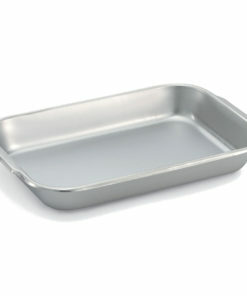 Aluminized steel interior and green enamel painted aluminized steel exterior. 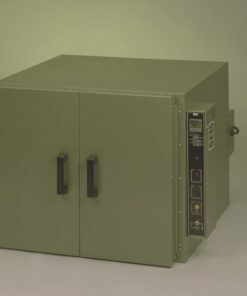 Electric Models Each features completely wired, side access UL listed control panel enclosing terminals for incoming power, temperature controllers, push buttons and pilot lights. 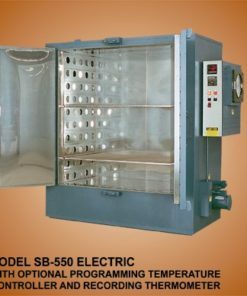 Motor starter and heating element are electrically interlocked to shut off heaters if power to blower is interrupted and to permit operation of blower without heat for cooling. 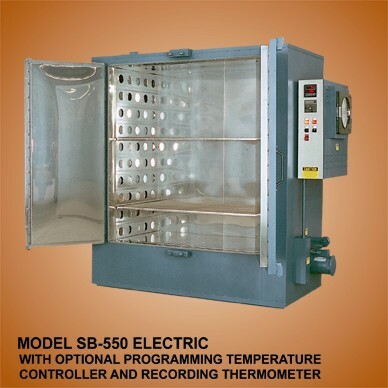 Incoloy sheathed tubular heating elements. Exhaust outlet 4″ diameter. 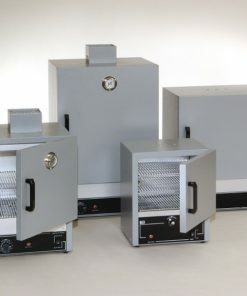 Horizontal Air Flow These electric or gas models come in two sizes. 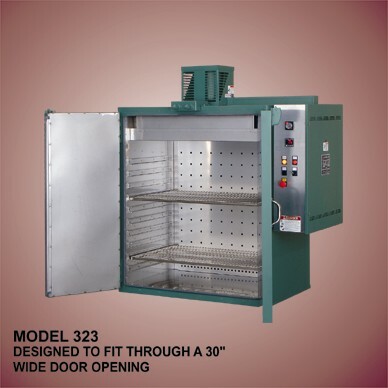 They feature full horizontal air flow with adjustable opposed louvers on full coverage supply and return duct work. 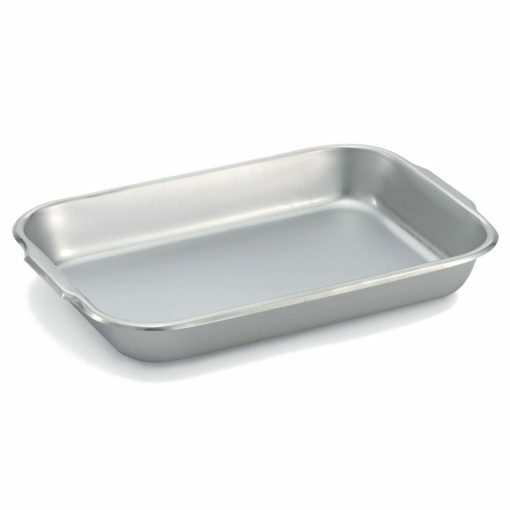 Commonly used where work is shelf loaded and least restriction to free air passage is in the horizontal direction. *Blower motor extends 10’’ (25 cm) rear. Control panel overhang 9’’, (23 cm) right side. Gas model burner overhang 15’’ (38 cm) right side.